We strongly believe there is a place for responsible ATV/ORV use and other motorized recreation on designated roads and trails in the great outdoors. We understand folks want to ride quality routes in a sustainable way! ATV’s and other motorized recreation deserve a place in properly designated and enforced areas with reasonable access, interesting routes, compelling vistas, and loops. We do not object to responsible motorized-vehicle use on designated roads and routes where comprehensive analysis has found such use does not create an overly-negative impact on ecosystem health, fish and wildlife habitat and other forest and public-land users. But before roads are opened to ATV use, there must be thorough and transparent vetting, including a discussion on right-sizing a quality motorized footprint, restoring areas with unauthorized trails, and accountability for illegal off-road riding. Together we have to determine what works best for motorized use and does not pose a threat to the local environment, sensitive wildlife habitats or the pursuits of other outdoor recreationists—whether it’s a hunter stalking a wary mule deer or a hiker seeking peace and quiet in the backcountry. Many ATV users do ride responsibly, respecting other users and sensitive habitats, and self-police members of their community that threaten everyone’s access by riding or creating unauthorized trails or negatively impacting wildlife. We’re involved because we believe abundant wildlife, recreation access and the close availability of wilderness and tranquility are among the greatest natural assets of places like Omak, Ione, Mazama and the Teanaway. You may have heard Conservation Northwest and the Methow Valley Citizens’ Council appealed the Okanogan County Commissioner’s decision to triple the amount of roads open to ATVs in that county—a decision made without a thoughtful environmental or community review. ATVs are fundamentally designed, marketed and sold for off-road use. It’s right in the name. And we believe Okanogan County’s decision not to pursue an environmental review fails to account for the high likelihood that some ATV operators will illegally ride off county roads and onto sensitive habitat, causing significant damage. This sort of behavior is proven to cause soil compaction, stream bed and wetland degradation, and destruction of fish and wildlife habitat. Meadows, bogs and other sensitive areas can take years to recover from just a few minutes of “mudding”. 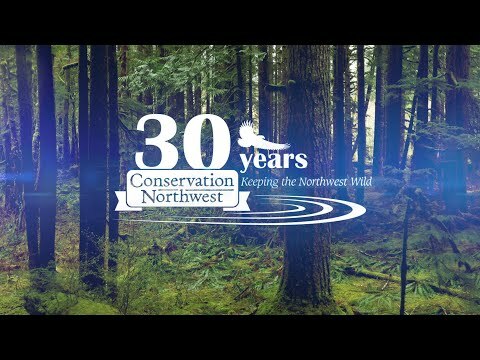 But Conservation Northwest strongly believes there is a place for responsible ATV use and other motorized recreation on designated roads and trails in the great outdoors. That’s why we signed on to a recent letter with 11 other groups, including several all-terrain vehicle clubs and dealers, condemning the illegal off-road mudding event in the Colville National Forest, but supporting work with the national forests and motorized-recreation groups to create an effective, timely and balanced travel-management plan. And we strongly hope Okanogan County will change course and see that a thorough environmental review is needed before they open up another 600 miles of county roads to ATVs. Damage to sensitive wildlife habitat is often only a right-turn away for motorized-users who break the rules and jeopardize access for everyone.